The Londra Palace is right on the Riva degli Schiavoni, just a few steps from St. Mark’s Square, Ponte dei Sospiri, and the other famous sights of Venice, as well as the most hidden corner of the city known as Serenissima. 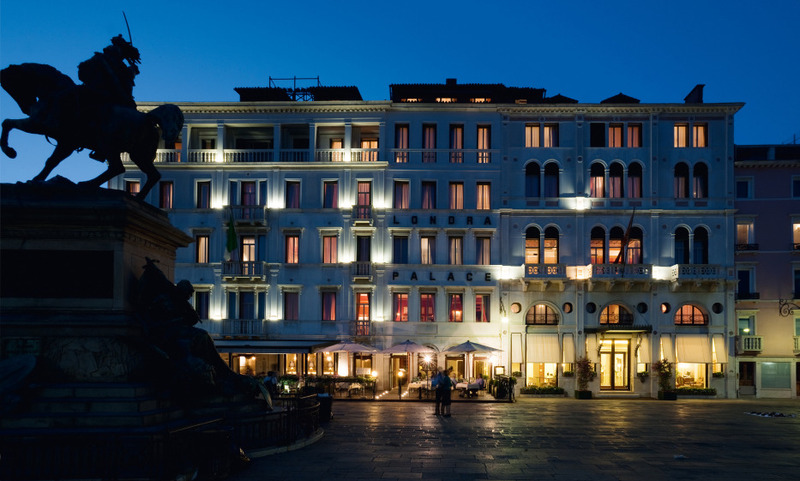 Hotel Londra Palace is the perfect Hotel to spend &quot;our&quot; four days in Venice! We enjoy the friendly atmosphere and the hospitality of the staff and all of the Team. This is not the first time we come to Venice but it is the best hotel we have been to stay at. Very superior, for example, Danièli where we were during our previous stay. We will definitely return to this hotel next time. The entire experience at Londra Palace was exceptional. 5 stars to Andre at the Concierge desk. 5 stars to Marino &amp; Marco who managed the bar area. The best staff in the entire city of Venice. Hotel Londra Palace is truly A Grand Luxury Hotel! Great location, very gracious and efficient staff, very attractive and comfortable furnishings and rooms. I would highly recommend this hotel. Thank you very much! Grand, well appointed, very European feel to this exceptional hotel. Staff is top rate. Friendly, funny, wonderfully knowledgeable. It was a great experience. The hotel’s location is perfect and the menu at the restaurant is very varied, and the dishes superb. But what we’ll always remember, is the quality of the service and professionalism of the staff and their kindness, it helped us have the perfect stay. Thank you very much. We thoroughly enjoyed the Hotel and we would come back for sure. We are here with friends who also enjoyed the Hotel. My wife and I are very familiar with Relais et Chateaux Hotels and restaurants having been to quite a few. We were not disappointed at all. We really enjoyed our stay.